Jenny (J-Lo that is) was, uh, not on the block in a Fiat ad in which she appears to be in the Boogiedown navigating the streets but isn't. A Bronx teen creates a 3-D printer. The public corruption trial of Councilman Larry Seabrook is expected to wrap up this week. A teen is recovering after being shot outside his Norwood apartment last week. A growing population of Mexican immigrants in the Bronx and NYC are falling way behind in high school graduation rates. This story in the Times is the latest in a series of articles in the Times on the Mexican immigrant experience. Michael Kimmelman, the Times' chief architecture critic, who has exhibited a consistent interest in the borough, explored last week an innovative and attractive S.R.O. (single room occupancy) building on Bronx Park East and many other new ways of thinking of housing in a city where only 17 percent of apartments consist of two-parent households. The dispute over whether to pave the popular Putnam Rail trail in Van Cortlandt Park continues. Two firefighters who came to the rescue of a Bronx teen who was being mugged and assaulted on Saturday will be honored by Councilman James Vacca. A relatively new city program to address the most neglected residential buildings has not achieved its goals, the Daily News reports. A power outage at an east Bronx nursing home has left a 49-year-old woman dead. Today, we're devoting the roundup to the living wage legislation, which was debated in a City Council Committee hearing yesterday. Norwood News tweeted live from the hearing. One of the focuses of a New York Times article is Council Speaker Christine Quinn's questioning of both sides, including her asking opponents of the bill if they'd support it if it were scaled back to only include gigantic developments like stadiums and airports. Maybe, they said. As Azi Paybarah of Capital points out, today's Daily News covers all sides of the argument: Citing concerns of small businesses in her community, Councilwoman Inez Dickens of Harlem withdrew her support for the living wage bill in a column in the Daily News today. Juan Gonzalez supports the legislation, and puts the spotlights on Bronx Borough President Ruben Diaz, Jr. whose leadership in the battle that defeated a mall at the Kingsbridge Armory gave birth to the legislation. Meanwhile, the paper's editorial page states yet again its opposition to the bill. Gotham Gazette has a good rundown of the politics surrounding the legislation. A Sojourners magazine contributor writes in favor of the bill on Huffington Post. In case you missed it, despite heavy union support for the bill, three trade unions came out against it. The latest episode in the Seabrook trial features Stanley Schlein, a long-time attorney/counselor/fixer/ballot-challenger for Bronx Democratic political powers, and sheds a little light on the connection between business and politics in the borough. St. Augustine Church, a 162-year-old parish in the south Bronx, is being closed and merged with Our Lady of Victory Church. With Thanksgiving a week away, POTS (Part of the Solution) co-executive director Jack Marth writes about the programs provided and challenges faced by hismulti-service agency, which has expanded into a new facility on Webster Avenue in Bedford Park. Workers who have raised alleged unfair labor practices at Woodlawn Cemetery for the last several months were joined by a contingent of Occupy Wall Street protesters over the weekend. A Times "Neediest Case": A Tanzanian family struggles to stay afloat in the Bronx. A group that believes one answer to struggling schools is to address problems of students with the most problems inside and outside the classroom is active in three Bronx schools. A Kennedy High School football star, now at Penn State, says he'd never have gotten to where he is without Joe Paterno. Neighbors held a prayer vigil for murder victim Bimal Chanda last night in front of his North Fordham apartment building. Bronx images from the NYC Marathon here. Beyond the Bronx: Congress declares pizza a vegetable in school lunches. Not the same as the Reagan administration proposing ketchup as a vegetable, but alarming nonetheless. An electric truck factory will open in the Bronx. In a big reorganization Catholic church pastors will no longer be responsible for the schools in their parishes. Good news and bad news for Williamsbridge Oval Park, where Parks Commissioner Adrain Benepe is scheduled to formally cut the ribbon on a new playground and other improvements this morning. Bronx Community Pride Center has its own Project Runway. A third of the BankNote building in Hunts Point will be rented by the city to be a hub for the borough's public assistance programs. Some community leaders are not happy at all. Four shootings and three murders in the northwest Bronx in the last two weeks have the community on edge. Twenty fifth and sixth graders from PS 86 (the school right behind the Kingsbridge Armory) are headed to Paris -- really. Macy's, opening its first store in the five boroughs in 15 years, is coming to Bay Plaza. A beloved three-year-old restaurant in Melrose is closing its doors. The latest in the Seabrook corruption trial. More here. Not a Bronx story, but a gorgeous, must-read Jim Dwyer column about a couple, both with cerebral palsy, who jumped societal hurdles and showed that love provides a lot of fuel for a good life whatever the struggles. One of the Times' neediest cases: A Morrisania vet who fell on hard times is fighting his way back to well-being. 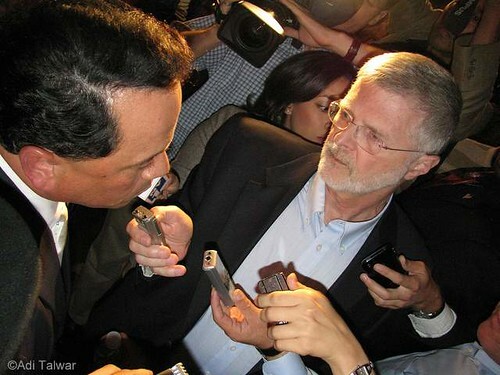 Bob Kappstatter questioning former State Senator Pedro Espada on primary night 2010. Gary Axelbank will be interviewing veteran reporter Bob Kappstatter, who is leaving the Daily News after 43 years, on BronxTalk tonight at 9 p.m. on Cablevision channel 67. A Kingsbridge resident, Buzunesh Deba, who hails from Ethiopia came in second in yesterday's NYC Marathon, missing a win by only 4 seconds, the closest women's finish in marathon history. 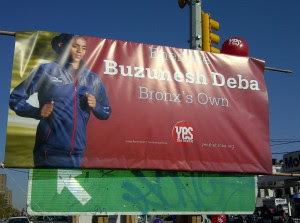 Bronx Borough President Ruben Diaz, Jr. praised the local athlete who is sure to get many thumbs-up as she continues her training in the neighborhood. Mohammed Ademo of Bronx Ink profiles Ethiopian runners, including Fikadu Lemma, who is also from Kingsbridge. Flip Bondy of the Daily News also highlights the Bronx angle of the marathon. Councilman Larry Seabrook may have the worst attendance record of that legislative body but there's little doubt he'll be showing up in federal court today as jury selection begins in his long-awaited federal corruption trial. City Hall runs down the likely contenders for Seabrook's seat should he be convicted and immediately removed from his position. For a PDF of the details of the indictment, click here. More details on the life and tragic death of Bimal Chanda, the Bangladeshi resident in Fordham who was killed just as he was planning to move his family to Parkchester because of crime in the neighborhood. A Bronx teacher protesting at Occupy Wall Street was arrested allegedly for knocking a policeman off a scooter. State Senator Jeff Klein makes his national debut on CBS News discussing legislation to require banks to maintain their foreclosed properties (starts around 1:10 in video below). The Daily News lays off Bob Kappstatter, a 43-year veteran of the paper, whose weekly column on the borough is a must-read. Is Adolfo Carrion, Jr. 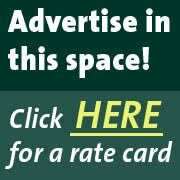 Thinking of Running for Mayor? The Perez Notes blog says yes. Crazy. The city Board of Elections is spending millions of dollars to fully staff Election Day in the Bronx next Tuesday, even though the only person on the ballot is District Attorney Robert Johnson, who is running unopposed. In what tenant advocates say is the highest settlement in a case involving a landlord who overcharged a tenant, a Norwood woman should receive $33,0000 from Urban American Management. In Kappstatter's column this week: The ticket-fixing scandal he's prosecuting might have Bronx D.A. Bob Johnson in a big bind, but as mentioned above he's running unopposed in Tuesday's election and is the only person on the Bronx election ballot. Joel Rivera sells his first chunk of property in his moonlighting gig as a real estate agent. And Assemblyman Nelson Castro and District Leader Yudelka Tapia aren't getting along so well. Juan Gonzalez reports on the copious records of student illness at the former location of PS 51/The Bronx News School. A Bangladeshi resident of East 190th Street was murdered by two men who made of with $15. Police have video of the suspects. The man, Bimal Chanda, was on the verge of moving his family to Parkchester. Three men have been charged in a heroin ring that used retail stores in Marble Hill and Kingsbridge as its base. The Benjamin Franklin Reform Democratic Club has voted to support the Occupy Wall Street movement. 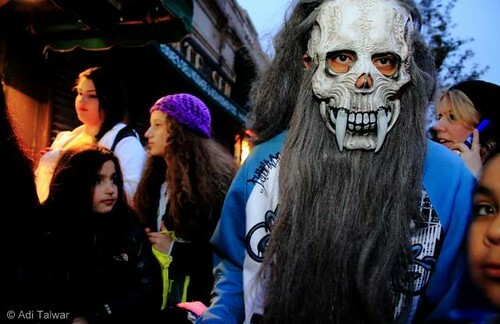 A school night with homework deadline did not deter hundreds of children from coming out for Halloween trick-or-treating on Monday. I took these photos on Bainbridge Avenue and East 204th Street. Click here for a slide show . The pirate's expression in the image below is exactly how I felt while making photographs on Halloween. Two community leaders announced a long-term initiative to fix the Cross Bronx Expressway on BronxTalk on Monday night. Just click play to hear the whole story. Is the creation of small specialized high schools siphoning off good students from the few still-remaining large schools like DeWitt Clinton, which just received an F on its progress report? That's the question posed by this article in the Daily News today. The Bronx added 3.8 percent more chain stores this year -- much more than the 1.6% citywide -- the Wall Street Journal reports following the release of a report from the Center for an Urban Future. The old Fordham Library will not become an animal shelter as originally planned. A bailout for the company behind those failed Yankee parking garages? This NY Post columnist believes that's a lousy idea. The governor's jobs hotline is getting a ton of hits. We're mentioning it in case you need it and haven't hit it yet. One of the alleged ticket fixers may have covered up a beating by a paint store manager pal, according to a suit filed by the victim. The head of Skanska USA, the multi-national general contractor overseeing the troubled filtration plant project in Van Cortlandt Park took some questions from The New York Times and acknowledged there was a federal investigation into the use of disadvantaged business enterprises as subcontractors in public works projects and vowed it wouldn't happen again. He said: "It had to do with the use of disadvantaged business enterprises as subcontractors. We wound up settling with the Department of Justice for around $19 million. Believe me, we’ll never have that issue ever again!" Two Bronxites have launched an effort to make the Cross Bronx Expressway less crowded, polluted and dangerous. (We'll put up the video of last night's BronxTalk, where the initiative was announced, as soon as it's available). Savor the Bronx, the borough's Restaurant Week, which actually goes through Nov. 13, starts today. Check out some of the participating restaurants. A construction worker in Soundview was killed when the building he was working in collapsed. NAACP chief Ben Jealous announces his support for living wage legislation in the City Council that resulted from the defeat of the city's mall plan for the Kingsbridge Armory. He will attend a rally for the bill, which the mayor opposed and Council Speaker Christine Quinn is undecided on, at Riverside Church on Nov. 21.